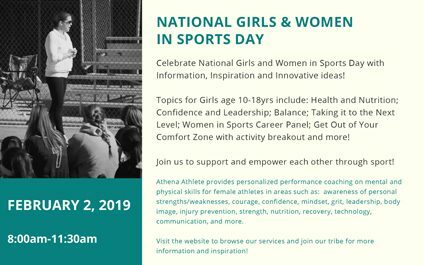 February 2, 2019 is National Girls & Women in Sports Day! 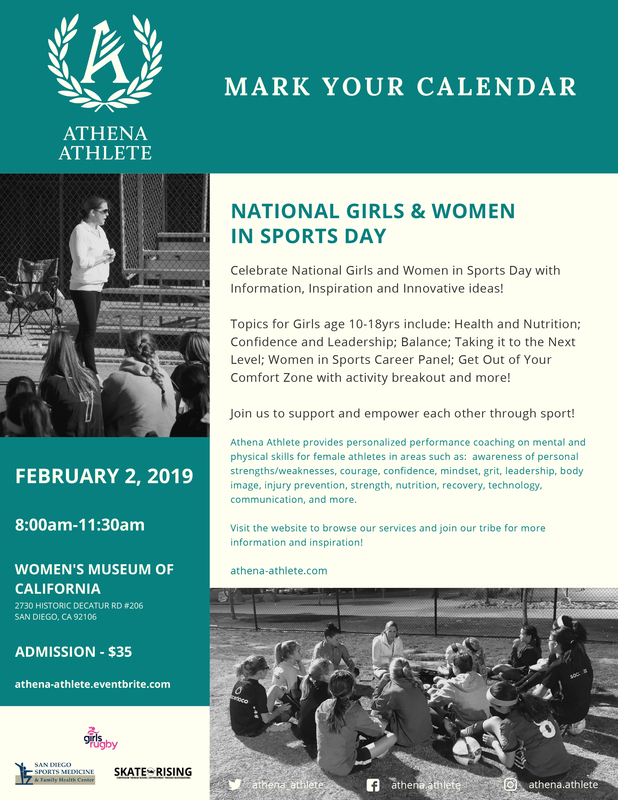 Our own Dr. Rebeccah Rodriguez will be speaking about nutrition at this amazing event sponsored by Athena Athlete at the Women's Museum of California. Information will be presented from Team USA Olympians, World Champions, and women in sports professionals on the following topics: Health/Nutrition; Confidence and Leadership; Goal Setting; Taking it to the Next Level; and Women in Sports Career Panel. There will be an activity breakout, give-away prizes, and goodie bags! Plus, a special parent session for coffee & connection with "I Love To Watch You Play."